The daycare stroller of your dreams has finally arrived. 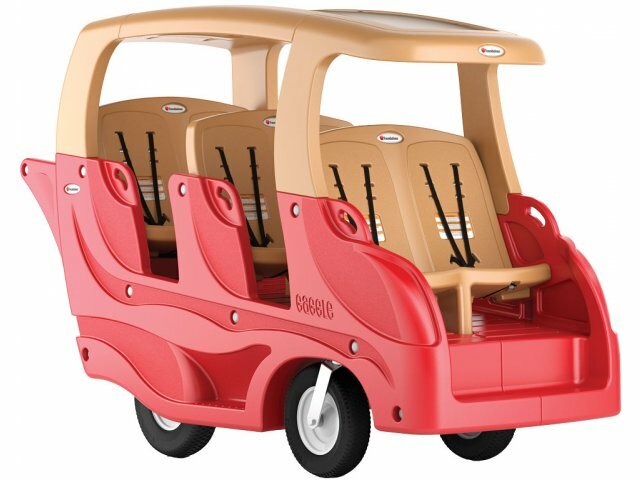 The Gaggle® Buggy by Foundations makes every outing as smooth as a walk in the park. 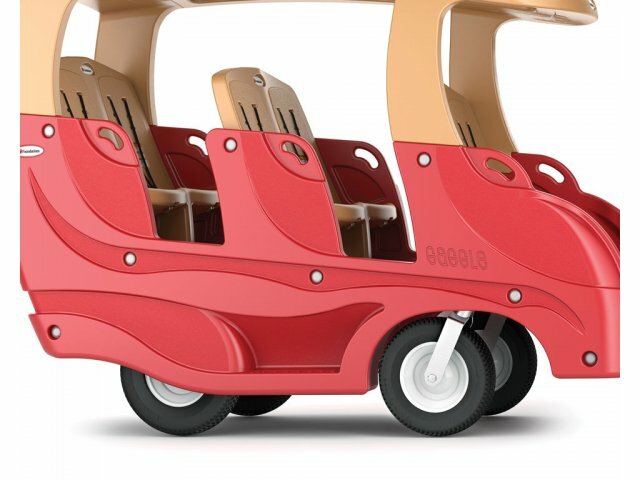 This multi-seater stroller is comfortable for children and convenient for caregivers. 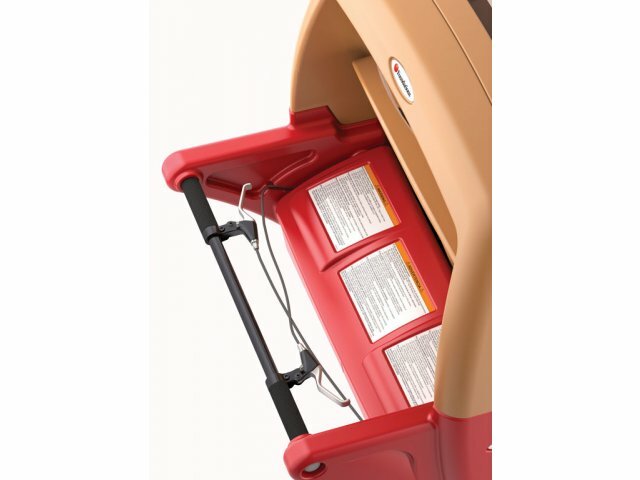 Steps and handles enable six little ones to safely climb into the contoured, slip-resistant, high-back stadium seats. Once children are settled, individual five-point harnesses easily adjust with one hand for a perfect fit. 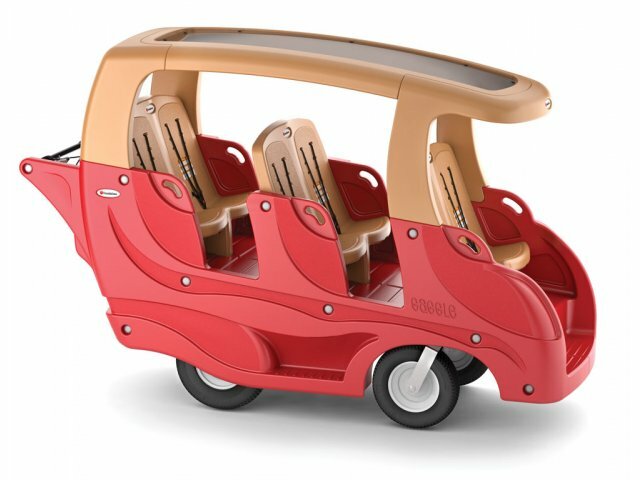 This daycare buggy is a pleasure to push and steer. Solid polyurethane tires offer a smooth ride as the stroller glides along paths - and even through doorways. The ergonomic handle features SoftStop™ one-handed brake controls. 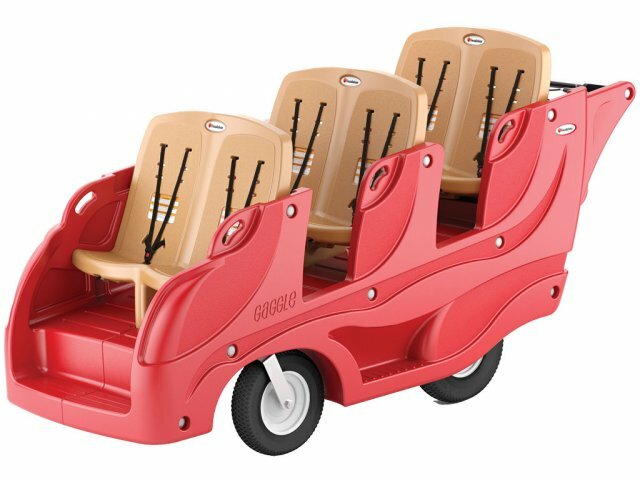 A winning combination of user-friendly features and practical design makes the Foundations Gaggle Buggy a great choice for any early-childhood setting. 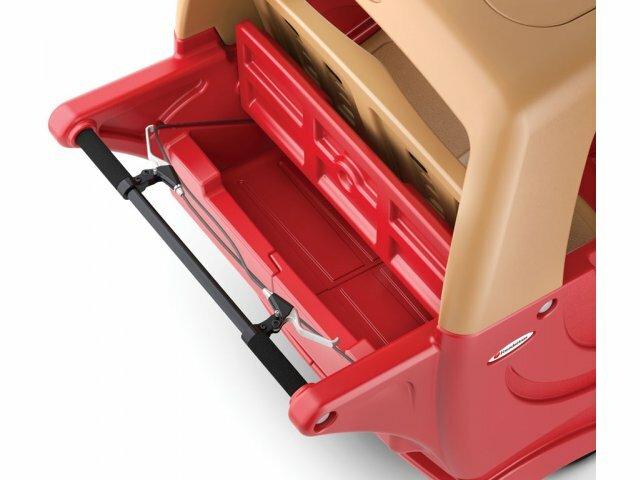 Easy Load™: Perfectly-sized steps and handles enable children to climb in and sit down without assistance. 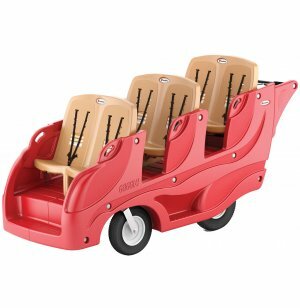 Supportive Seats: Slip-resistant, contoured, high-back stadium seats keep children properly positioned as they enjoy their surroundings. 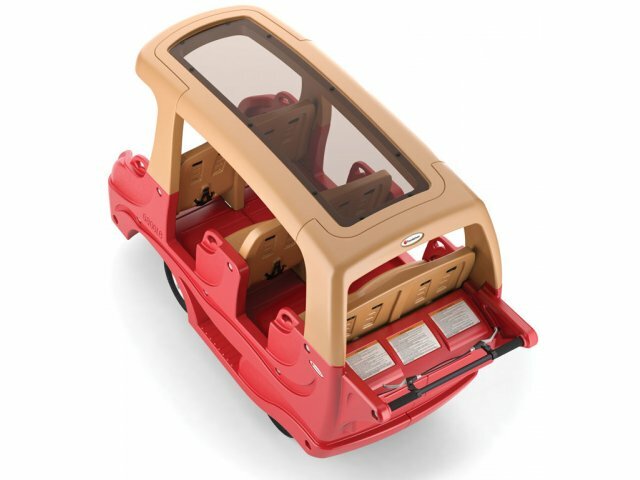 Custom Fit: The QuickFit™ five-point harness system has a one-hand, front-of-seat adjustment and three height positions. ComfortableSteering™: An ergonomic handle with SoftStop™ one-handed brake controls helps caregivers steer from a healthy position. The parking brake easily engages with a second hand lever. Smooth Glide: Solid polyurethane tires never need to be inflated. Convenient Storage: Includes rear storage with a flip-up lid. Durable Materials: Solid steel, powder-coated frame with an impact-resistant, double-walled body, and stainless-steel disk brakes. UV inhibitors prevent color from fading. Optional Roof: Convertible roof sold separately.